What a nice wedding entertainment! Back from Philadelphia, Anna left an amazing souvenir to the bride and groom. 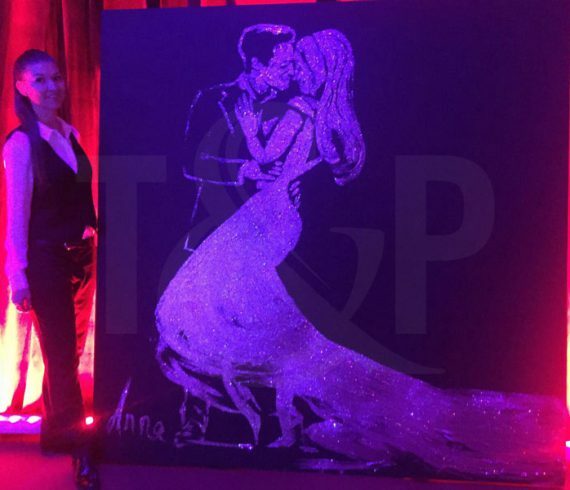 Moreover, all guests were completely amazed by her speed painting performance. She realized in just a few minutes using only glue and glitters the stars of the evening!